September is usually the month when CO2 is at its lowest after a summer of plants growing and sucking it up in the northern hemisphere. As fall wears on, those plants lose their leaves, which in turn decompose, releasing the stored carbon dioxide back into the atmosphere. 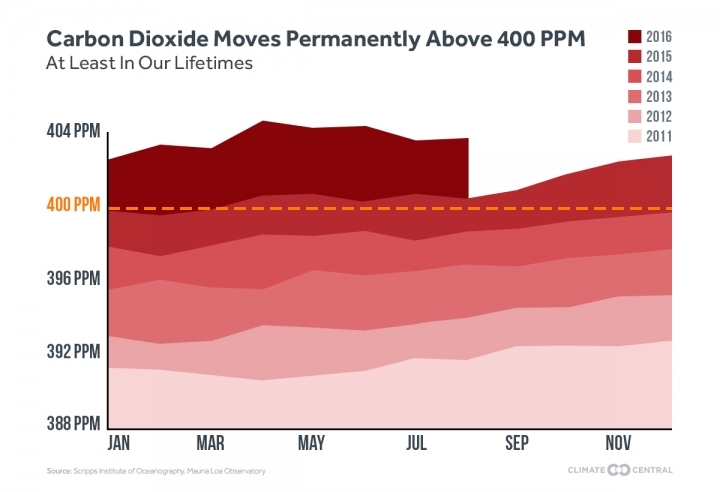 At Mauna Loa Observatory, the world’s marquee site for monitoring carbon dioxide, there are signs that the process has begun but levels have remained above 400 ppm.